Yesterday, September 5th, journalist and activist Gauri Lankesh was assassinated in her home in Bangalore. Once more, a voice of dissent, a voice of reason, has been silenced with guns. This is a chilling continuation of the series of murders of rationalists, writers, scholars and activists, from Narendra Dabholkar and Govind Pansare to MM Kalburgi. None of the murderers has been punished, though much points to the extended right wing family. Instead, the punishment of critical voices continues, as do attacks against Muslims, dalits, Adivasis and women – Indian citizens all. Gauri Lankesh performed her duties as a journalist and a citizen with uncompromising honesty. She was guided by democratic, secular values, that insist on an India in which speaking up against division and hatred is every citizen’s right. 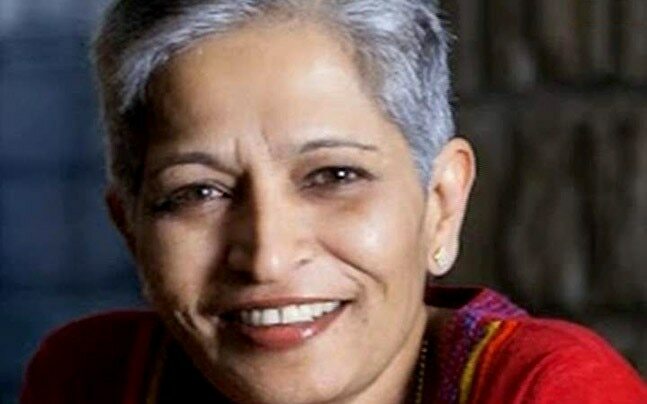 The Indian Writers’ Forum condemns the brutal murder of Gauri Lankesh. The Forum condemns the continued unmaking of India in which writers, artists, scholars, rationalists – and indeed any citizen who exercises her right to speak freely – is no longer safe. We pledge to continue Gauri’s fight against the haters of free speech and a plural India. We will continue to speak on her behalf and ours. They cannot silence us all.